The hassel-free guide to batch process video conversion with HandBrake on computer. 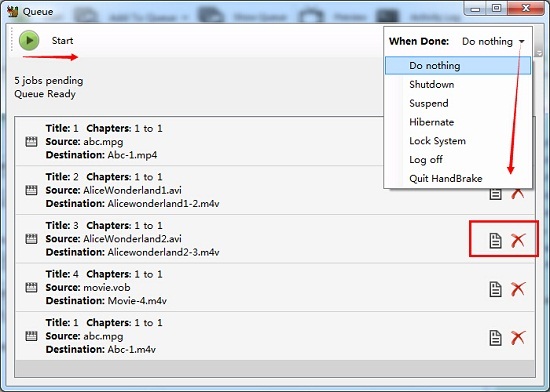 HandBrake is widely used to convert videos and rip DVDs on Windows, Mac and Linux. But batch video conversion isn't supported by HandBrake until the release of HandBrake 0.9.5. In the old days, HandBrake users have to load and convert videos one by one. It's really troublesome. Today, we'll show you how to batch convert videos with HandBrake in detail. Your can also try this way to batch convert your GoPro videos. How to Batch Convert Any Videos with Ease? 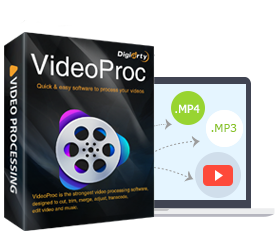 VideoProc - Best HandBrake video converter alternative to batch convert any videos among all SD/HD/4K videos in MP4, MKV, AVI, WMV, AVCHD, MTS etc. for playback on iPhone, iPad, Apple TV, Android, Microsoft and more screens at will. HandBrake 0.9.5 or above version is available to scan multiple files at once, but not including multiple VIDEO_TS folders or image files. You're only allowed to convert a batch of video files with certain HandBrake versions. Before batching video conversion, please make sure you are running on HandBrake 0.9.5 or later. Step 1. Launch HandBrake, click "Tools-> Preferences". Then, please navigate to "Output Files" and click "Browse" to choose a folder for saving output profiles. After finishing, please click "Close" to go back to main window. If you don't do as instructed, you will get error message "You must turn on automatic file naming in preferences before you can add to queue" when you try to batch convert. Step 2. Click "Open Source-> Folder (Batch Scan)" to load a batch of video files, maybe your GoPro videos, from a single folder. That is to say, you should put all videos ready for converting in one folder in advance. Step 3. Choose output presets after file scanning. HandBrake already provides some presets for you. Certainly, you are also allowed to set specific output presets manually. Step 4. Hit "Add to Queue-> Add All" to add multiple files to the queue for batch converting on HandBrake. Step 5. When you click "Show Queue", you'll notice that there are how many jobs pending for batch conversion. In this step, you can set "When Done", edit certain job or remove a video. If everything is ok, just click "Start" button to begin processing HandBrake batch video converting. However, you may also encounter some troubles while using HandBrake to convert (GoPro) videos in batches, say, unknown errors while adding to queue, sudden crash while in operation, badly slow video conversion or cannot open the files converted by HandBrake, etc. If you are still struggling with HandBrake a lot, you'd better choose a HandBrake alternative which will not let you Google answers to questions like "how to batch convert", "how to built iPhone presets", "how to fix HandBrake errors" etc. "If I load a folder with 2 or more files to do a batch convert, the program will close/crash, when I start the conversion...Batch convert crashes the program. This started about a month ago, and every update has the same result." "As you've discovered, using the queue for large batch jobs it not convenient." "I can't use the queue function at all, so it's just not that the error appears. Any other ideas how to fix this? I would be glad if I didn't have to convert my movies one by one." - Besides acting as a video converter, it is also a DVD converter, video editor, free (YouTube) downloader, and screen/webcam recorder. Everyone including non-professionals can perform batch converting without any hassle. 1. Navigate to Video control and click "+ Video" or drag and drop a dozens of videos into it. 3. Set destination folder by clicking "Browse". 4. Hit "RUN" to begin converting videos in batch mode. Thanks to High Quality Engine, quality of the converted videos will be perfectly maintained. Compared with HandBrake batch conversion, it delivers faster converting speed due to the support for the world's most advanced Intel QSV, MMX-SSE, Nvidia CUDA/NVENC, Hyper-threading and AMD 3DNow! tech.